We have a faster, easier way to share your recipes and photos with us: Instagram! Each month, we'll pick an ingredient or a theme and ask you to tell us about what you're making through photographs and captions. 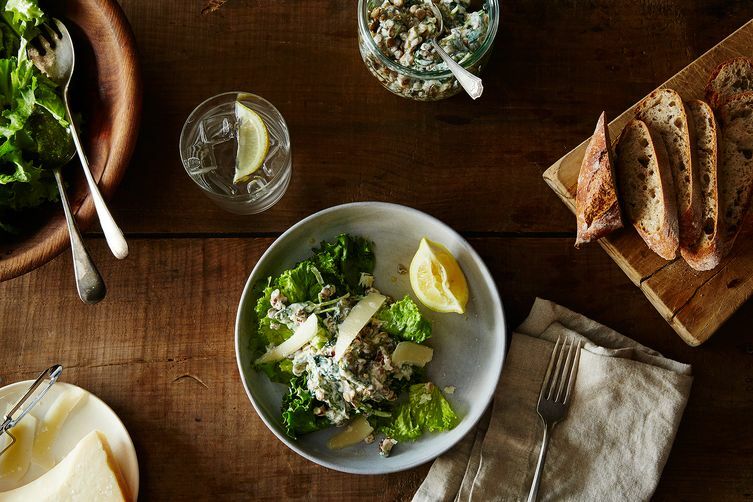 We here at Food52 are putting our collective muscle behind a cause we believe in: The Not Sad Desk Lunch. We're pledging to revolutionize our own lunches, and we're bringing very not-sad lunches out into the world. We want to change the way you make lunch! 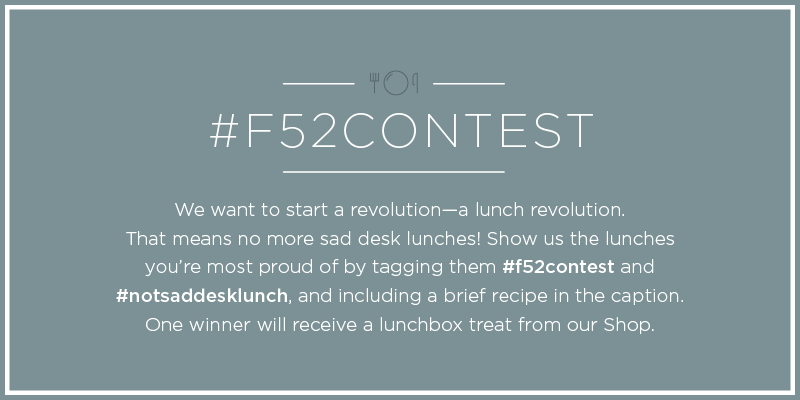 And for this week's #f52contest, we want to see your own not sad desk lunches. Take a photo of your best not sad desk lunch and be sure to use the hashtags #f52contest and #notsaddesklunch. When you tag your photo, it will appear below for everyone to admire. At the end of the week, one winner will receive a Not Sad Desk Lunch kit from the Food52 team. What does the not sad desk lunch consist of? I was unable to find it in your product listing. hi xuan, good question! we actually don't sell it in our shop; it's the same "kit" we bring to offices when we take #notsaddesklunch on the road: a stainless steel bowl, good olive oil, some vinegar we love, nice salt, and tongs—so you can throw together a spiffy salad in your office.